Working with Scott HR has been wonderful and I appreciating having you on our extended team. Kristin has been a valuable resource in providing coaching and counseling for some unique situations. Kristin’s enthusiasm and ability to quickly gain the confidence of the employee while delivering very candid feedback has definitely provided positive results to our team. Kristin has been great to work with and has a wide variety of knowledge that helped us rebuild our administrative policies and employee handbook for Satanta District Hospital. Thanks for all of your help during this process. Brewster Place did a 6-month pilot of Step One in 2013. We used the assessment with our CNAs and CMAs. It reduced our turnover by 30% in that 6 month time period. Based on the results we saw by the end of the 6-month pilot, we have now rolled it out plan-wide. We are now also using the PPI for our new in-house Leadership Certificate program. Managers enjoy that the report gives them insight into how to more effectively manage their team members and the employees felt the report was a very accurate assessment of their personality. We are very pleased with both Kristin’s service and the ease of the Profile’s website. 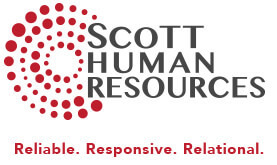 Kristin Scott and Scott Human Resources has assisted our small business for over 10 years. She has helped us recruit, evaluate and retain qualified individuals for our Family Practice Office. Over the years as we have bolstered our benefit package, she has guided us through the quagmires of HR regulations. Kristin has directed our managers regarding employee coaching and performance appraisals. She is prompt to answer phone messages and emails. She has been a great fit for our HR needs. I have used Kristin Scott’s services since 2006 and consider Kristin one of my most valuable consultants and contributors to my medical practice. When it comes to administrative and human resource challenges, Kristin is extremely capable, engaged, and insightful. I have learned to go first to Kristin when issues arise, and I can expect her to take ownership over challenges and problem solve in a consistently effective and timely manner. When people are involved, Kristin has an ability to address personal growth objectives very positively, yet directly. I have delegated all recruiting and hiring of new staff to Kristin as well and could not be more pleased with the quality of staff she has delivered. I highly recommend Kristin Scott for human resource services and for administrative projects that require an insightful, capable, and caring individual. We look forward to improving communication across the board, moving forward. In addition, I’ve personally seen how hard Scott HR and our office staff have worked over the past 6 months to make this company better than it has ever been. Their constant drive, like yours as a team leader, has inspired me to step my game up. I’m more focused than ever to build onto the legacy of our organization. Without committed team members and valued customers, there is no business. By the way, my colleague has said amazing things about you to lots of people who equally say amazing things. Scott HR has quite the fan base! Scott HR implemented a new Annual Performance System for our team. The process encourages open and honest communications between the supervisor and employee. While at first it appears like more paperwork, it is actually easier and takes less time than the previous system. We particularly appreciate the employee input and the revised rating system. Kristin also worked with the management team to make modifications that would customize to our culture in 9 locations and 2 states. This is why I am so glad we have you aboard. This sounds great! Thank you for your help. It helped to get your perspective. Thank you for all you do! Thank you for the quick professional help you provided in hiring our new employee. Your expertise offered the assurance we needed and the process was very good. Scott HR was a great find and fit for our organization. They listened and provided exactly what was needed to position us as a reputable and competitive company. We were able to rebuild our foundation and now feel confident as we move forward. Scott HR has definitely made my job a lot easier. Our working relationship is extremely enjoyable and I look forward to many more years of success. Thanks again!